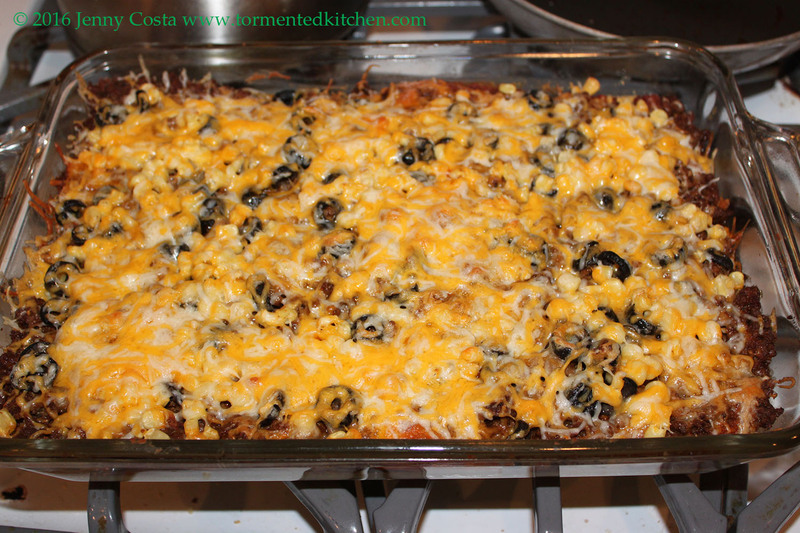 Today I'm sharing a recipe for a casserole that I learned about when I got my first real job out of college. It was informally called tamale pie. Essentially, the original recipe consisted of a can of this and can of that layered in a pan. 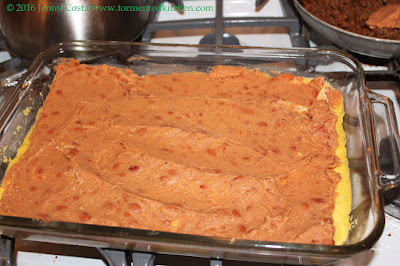 There was corn bread mix from a box, layers of seasoned meat, cheese, salsa or Rotel, beans, and so on. (I'm skipping details on purpose. They're boring.) Then you baked it until it was hot. Yeah, I customized my procedure and ingredients to match what we liked. I started making the mush with a little cinnamon and used regular milk instead of canned milk. 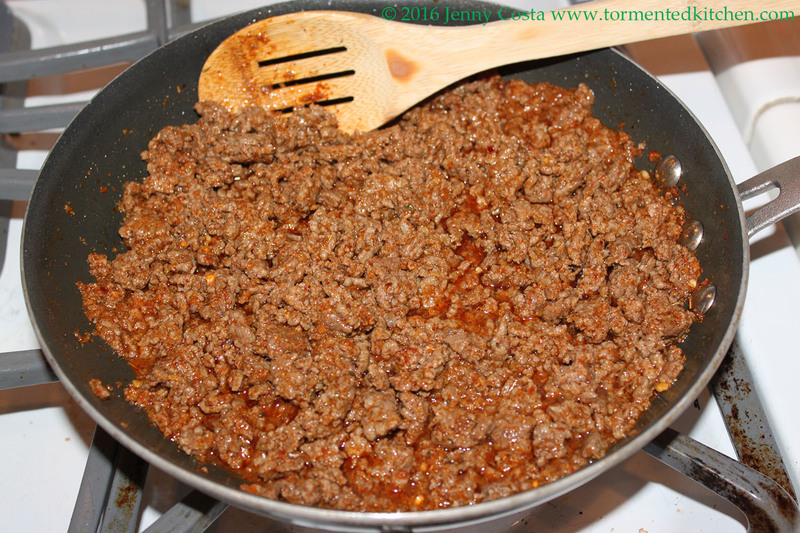 I used taco seasoning on the meat and skipped the salsa/Rotel step. 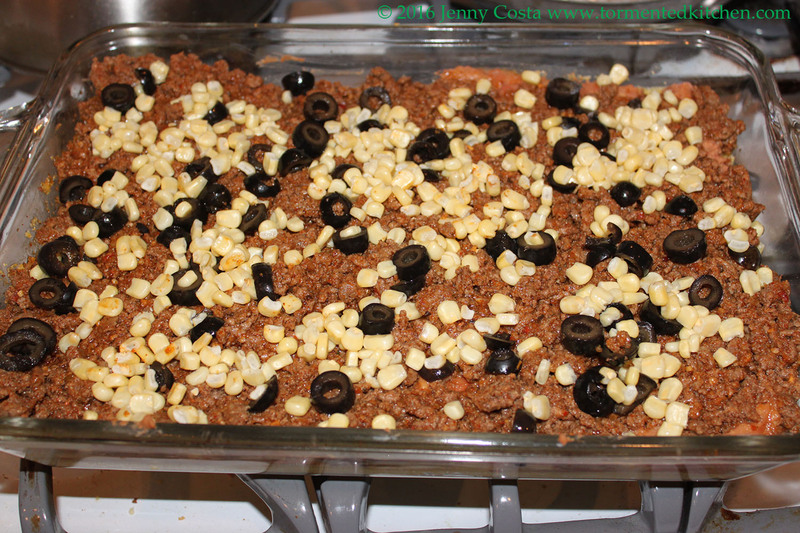 I added frozen corn and sliced olives. I couldn't skip the cheese since we love cheese. But it has evolved from the original can of this and a can of that. Now hold on for one second. 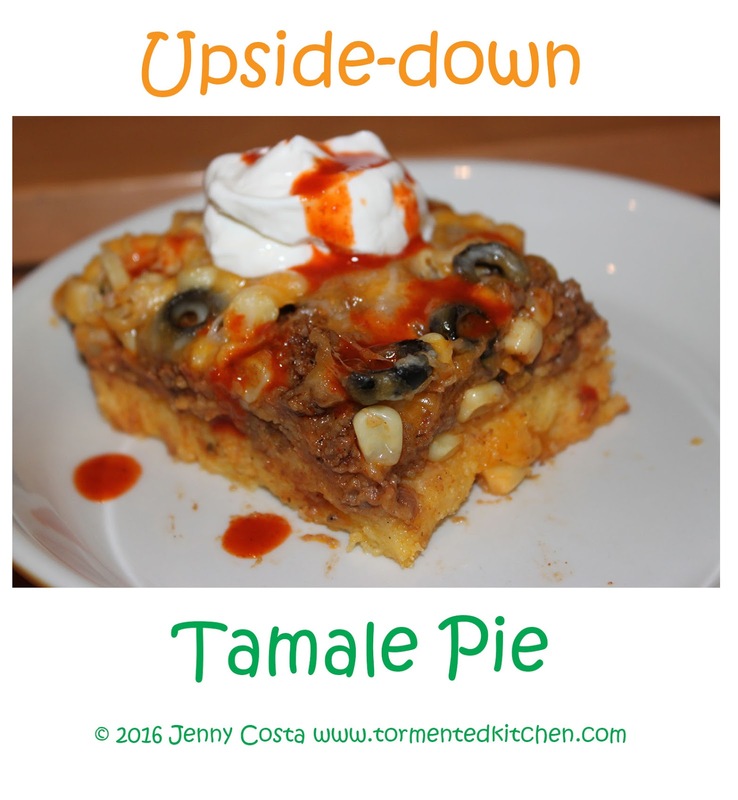 Have you seen other tamale pie recipes? You know, the ones that put the corn mush on TOP? What is that about? For me, the cornbread layer is crust, the foundation that holds all the toppings. Dear hubby compares it to a Mexican Sope. A sope (sounds like so-pay or soapy) is like a tostada, or a flat taco, made with a baked corn mush boat instead of a tortilla. I hope you like this. This makes enough for a good sized family with a few leftovers for lunch. It also freezes well if you want to put some away for later. 1. Preheat the oven to 350F. Prepare a 9"x13" pan with a light spray of nonstick cooking spray on the bottom. 2. 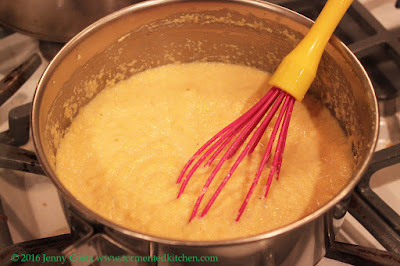 Combine the corn meal, milk, and cinnamon in a saucepan on the stove. Bring to a boil and cook until thickened, about 5-7 minutes. 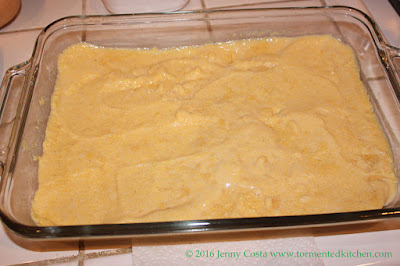 Spread the corn mush in the bottom of the 9x13 pan. 3. Bake the mush until firm, about 10-15 minutes. 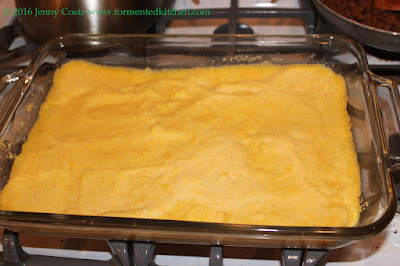 Remove the hot pan from oven and let rest until step 5. 4. Meanwhile, brown the ground beef. 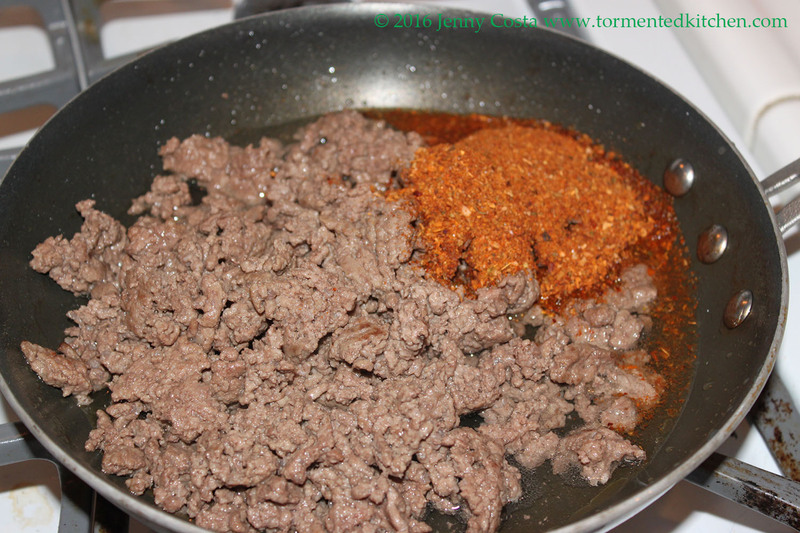 Drain the fat and add the taco seasoning and water. Stir and cook until the water evaporates. 5. Spread the refried beans on top of the baked corn meal layer from step 3. You can use as much or as little as you like. 6. Spread the cooked meat on top of the refried bean layer. 7. 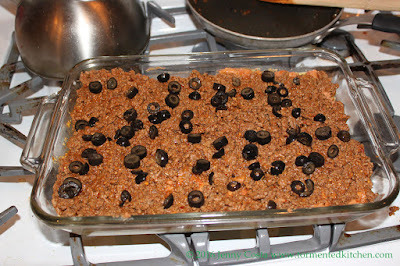 Sprinkle the sliced olives on top of the meat. 8. Sprinkle the corn on top of the olives. 9. 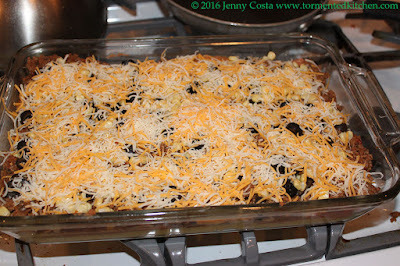 Sprinkle the cheese evenly over everything. 10. Bake again, at 350F, until heated through and the cheese looks slightly toasty, about 30-40 minutes. 11. 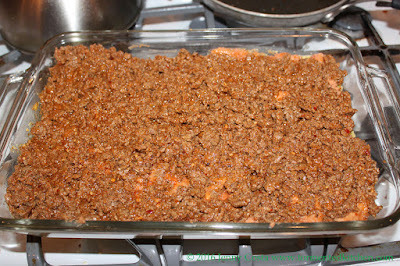 Remove from oven and let cool about 5-10 minutes before serving. Serve with desired toppings. Mexican rice is a good companion, too. ***As a note, if you buy taco seasoning in bulk like we do, in the huge shaker from Costco, use 1/4 cup taco seasoning. That's the same as what comes in a packet.